A reliable partner for a comfortable quiet ride. 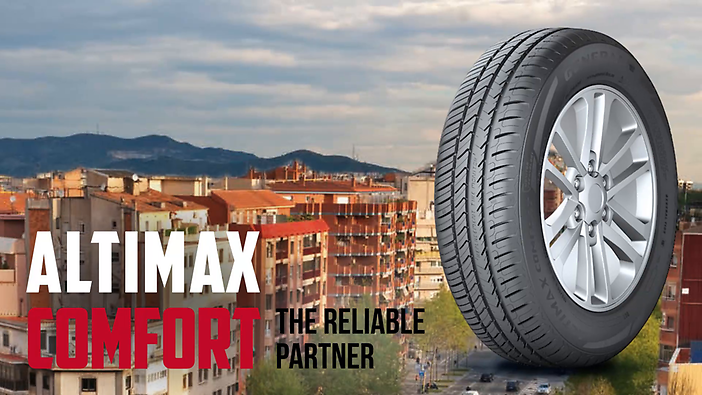 The Alimax Comfort has outstanding handling characteristics in wet conditions, as the tyre displaces the water from the tread. This also ensures shorter braking distances. Very good steering response on wet roads and low risk of Aquaplaning. The rigid tread gives the vehicle a high degree of stability on wet surfaces. This means the steering performance always remains precise, even in wet conditions, and the risk of aquaplaning is minimised. The tread compound minimises rolling resistance. This keeps fuel consumption low and increases mileage.